Piston syringe with luer lock tip (no needle), 10cc capacity. 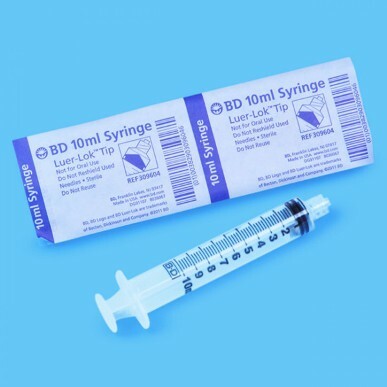 Sterile syringes feature an integral BD Luer-Lok hub for a secure, threaded connection to needles or IV ports. Control syringe features improved finger grips. Sold by the each. Sterile.